Contrary to the current trending topic on this website, we still cover free music downloads, hah. Our Twitter feed has been blowing up with the Movember Movement, but we are not going to cease with bringing you free music! 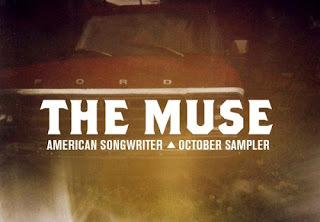 Today I was delighted with a free October music sampler from AmericanSongwriter.com that I played a couple times through today. It was a great introduction to a lot of new bands for me and I really enjoyed pretty much everything on the sampler. This was also my first introduction to American Songwriter and I am loving their content! I might just sign myself up to receive their publication. So make sure you check out this free download. Some of the genre tags associated with this sampler are Americana, Alt-Country, Indie-Rock, and Singer Songwriter but see what you think. I personally got a taste of the Ramones with "Mayday" and Bruce Springsteen with "The War on Drugs". My other favorites were "I Found You" by the Alabama Shakes and "Gasoline" by Shovels & Rope. A Music Sourced Movember ! !